PROFILEmiami had the exclusive opportunity to sit down with Oscar Rodriguez and Ricardo Vadia, the founders of ROVR Development and masterminds behind the notable new luxury-boutique condo development The Fairchild Coconut Grove. Together they shared their insights on their new project, careers in the South Florida real estate industry as well as their thoughts on Coconut Grove and the rest of the Miami real estate market. PM: The Fairchild Coconut Grove seems to envelope residents with the vibe of Coconut Grove. Where did the idea come from? OR: We found this opportunity to be unique because this is a boutique building, very private. Many of the large buildings currently being built throughout Miami-Dade County are in highly dense urban settings. In comparison, when you walk out of the front door of The Fairchild Coconut Grove, you are in a very exclusive neighborhood with single-family homes where people are walking their dogs, running, and biking. The location, coupled with its Bayfront setting made it too hard for us to pass on. We absolutely loved the site. PM: What makes The Fairchild Coconut Grove so unique? OR: Many things. The combination of luxuries and amenities that you have within the building itself, the surrounding neighborhood and waterfront accessibility, all within minutes of either downtown Miami or downtown Coconut Grove sets The Fairchild Coconut Grove apart from other developments. For example, our pool directly overlooks Biscayne Bay and we will have a floating dock on the Bay from which you can launch kayaks and paddle boards directly. We were also able to maximize the roof-decks because we don't have as much equipment as a high-rise would have. Towards the lower scale part of the building we have a typical New York rooftop garden with cove seating and an outdoor theater. 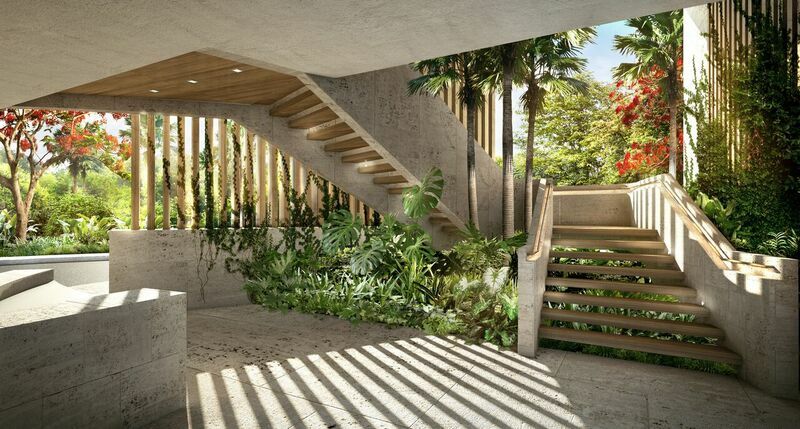 These features, paired with the quaint and boutique nature of the building’s design, are part of what makes The Fairchild Coconut Grove unique. OR: In the world of boutique buildings, we offer significant amenities, among them direct water access, the highly detailed specifications of the kitchen, the floor plans, the neighborhood itself and the ability to be in an enclave setting but minutes from everywhere.. It really is the most inclusive product that is out there, including many of the other buildings in Coconut Grove. PM: What do you think of the recent new developments in Coconut Grove and the new energy they have brought? OR: I think that they are beautiful and well-designed. They are being developed by some serious and reputable companies with positive track records. When you have people such as Jorge Perez, David and, Pedro Martin and Peter Garner taking big risks and who have interest in investing, it isn't by coincidence. It is because this is a beautiful area and it really has great value. That proves that Coconut Grove is highly sought-after and it is just on the verge of emerging. OR: Coconut Grove has been a focal point of Miami since the 19th century. It has a reputation for being a highly exclusive and nature-oriented neighborhood with a lot of green space and pedestrian-friendly sidewalks. Many of South Florida’s historical figures have lived in Coconut Grove and I think it will always retain that mystique. What we are finding though is that, in addition to the residents that have always lived in Coconut Grove, a more internationally affluent buyer is coming to live here. I think that continues to increase Coconut Grove’s demand. Where else in Miami do you have a waterfront neighborhood with rich history and native landscaping all bundled up into one package? That’s what drew us to Coconut Grove as a possible development site and that’s one of the reasons we are here. The Fairchild Coconut Grove is a waterfront, 26 unit, mid-rise boutique condo project to be located on the 1-acre parcel located at 3581 East Glencoe St. The building will be designed by local architect Max Strang in collaboration with interior designer Rafael de Cárdenas. Residences range from 2 to 4 bedroom layouts and 1,700 SF to over 4,200 SF. Prices start at around $1.4 million and range up to $4.5 million, at about $820 SF. Amenities include a spa, two rooftop decks, a pool and a bay front deck with private boat slips available for purchase. The project is expected to break ground in early 2017 with delivery expected in spring 2018. 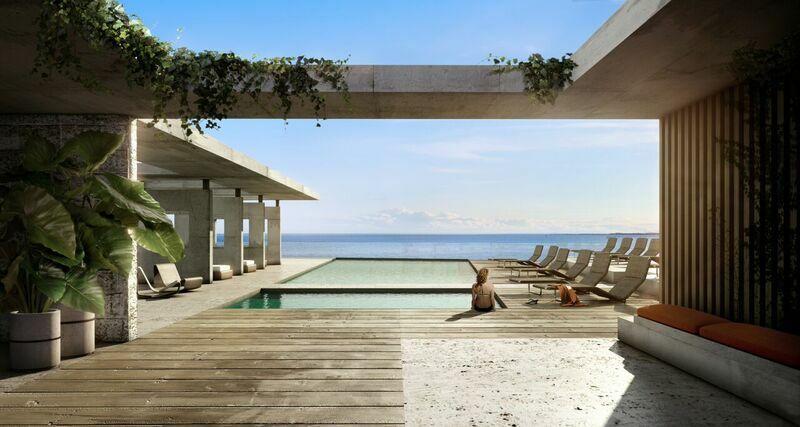 Pre-sales are underway via One Sotheby's International Realty. Check out our earlier coverage on The Fairchild Coconut Grove from our September feature.